The speakers appear in alphabetical order. Hans Bauer studierte Slavistik und Geschichte Ost‐ und Südosteuropas in Regensburg, Warschau und München. Während seines Studiums war er als studentische Hilfskraft am DHI Warschau sowie fünf Jahre lang am Osteuropa‐Institut München tätig. Nach seinem Studienabschluss als M.A. an der LMU München arbeitete er im Bereich Corporate History der HypoVereinsbank München, um schließlich als Bildungsreferent in die internationale historisch‐politische Bildung einer gemeinnützigen NGO nach Dresden zu wechseln. Seit 2011 konzentriert sich Hans Bauer zunehmend auf das Bibliothekswesen: zunächst als Mitarbeiter der Öffentlichen Bibliothek Emden. Seit 2013 ist er als wissenschaftlicher Mitarbeiter am IOS zuständig für den Dokumentenserver zur Osteuropaforschung OstDok. Education: Photographer (Lette-Verein Berlin, 1994), BA War Studies (King’s College London, 2003), Master of Peace and Security Policy Studies (IFSH/University of Hamburg, 2004). 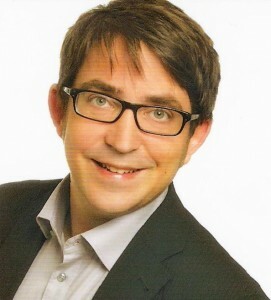 Co-founder/CTO of “Neue Medien für Kids” (edutainment software, 1994-1998), COO of “Terratools” (computer games, 1999-2000). 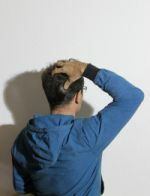 Since 2008, his project “Wartist – Connecting War and the Arts” addresses the artistic examination of war, including a bilingual blog and organising various art exhibitions on historic and contemporary conflicts. Laurence Boudart (Belgium, 1975) studied Translation Studies (French-German-Italian) at the École d’Interprètes Internationaux, Université de Mons (Belgium) and holds a PhD in Modern Literatures at the Universidad de Valladolid (Spain). She taught French as a foreign language, Translation and Belgian Francophone Literature at the Universidad de Valladolid between 1997 and 2012 and she currently works as a researcher at Archives & Musée de la Littérature in Brussels. Her research interests are: Belgian Francophone Literature (19th and 20th century), relationship between Translation and Literature and School Discourse. Historian, Librarian, Teacher and staff member of the Research and Development Department of the Austrian National Library since 2012. She is responsible for the creation of metadata and dissemination; she graduated in German and History from the Eötvös-Loránd University in Budapest, in History from the University of Vienna and in Library and Information Studies from the Austrian National Library. 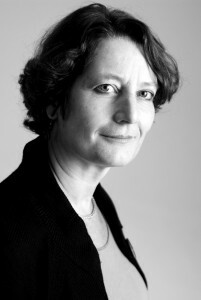 Jill Cousins is the Executive Director of the Europeana Foundation, responsible for Europeana.eu, and Director of The European Library. She is on the Board of Globethics and advises on the development of other digital libraries. She has many years experience in web publishing, which are now being applied to the libraries and the cultural heritage arenas. Her past experience includes the commercial publishing world as European Business Development Director of VNU New Media and scholarly publishing with Blackwell Publishing, running their online journals service. Prior to publishing, she had a variety of marketing and research careers in the information field. These ranged from being the Marketing and Event Director for Learned Information (Online Information) to managing her own research company, First Contact. Miriam Hannig studierte an der Universität Augsburg das Lehramt an Grundschulen mit dem Unterrichtsfach Geschichte und absolviert zudem den Masterstudiengang “Fachdidaktische Vermittlungswissenschaften – Mediating Culture” mit der Kombination Geschichte und Kunst. Seit 2012 ist sie als Wissenschaftliche Mitarbeiterin am Lehrstuhl für Didaktik der Geschichte an der Universität Augsburg und koordiniert das EU-Projekt EHISTO (European history-crossroadsaspathwaystointerculturaland- mediaeducation). Sie ist zudem als Freie Museumspädagogin und Kunstvermittlerin, unter anderem bei den Bayerischen Staatsgemäldesammlungen, tätig. 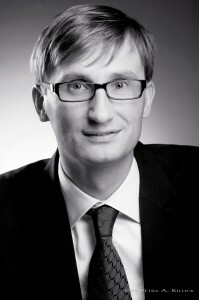 Gregor Horstkemper graduated from the Ruhr-Universität Bochum in history and social sciences in 1988. After working as a history research assistant for several years he joined the Bavarian State Library in 2001. Since 2008 he is Head of the Centre for Electronic Publishing and subject coordinator for history at this library. 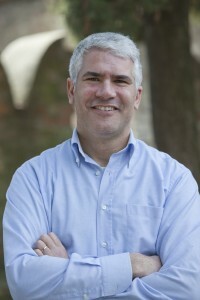 His main focus are open access publishing, expert information on history and digital humanities. Gregor Horstkemper schloss ein Studium der Geschichte und Sozialwissenschaften an der Ruhr-Universität Bochum im Jahr 1988 ab. Nach mehrjährigen Tätigkeiten an zwei geschichtswissenschaftlichen Fakultäten wurde er 2001 Mitarbeiter der Bayerischen Staatsbibliothek. Seit 2008 leitet er dort das Zentrum für Elektronisches Publizieren und ist Fachkoordinator für die Geschichtswissenschaft. Zu seinen Haupttätigkeitsfeldern zählen das Open-Access-Publizieren, geschichtswissenschaftliche Fachinformation und digitale Geisteswissenschaften. Dr. Chryssoula Karamatsiou is working as a philologist and history teacher in secondary education in Athens, 6th Gymnasium of Zografou. She has completed her Phd Thesis (2009) on the “Action and the Rhetoric of Moslem political leaders in Thrace : From the Young Turks to the Kemalists, 1918-1920” in the University of Athens. For the past few years she has been elaborating issues on History didactics and the use of ICT in the classroom, but also still working in the research field of the history of Thrace in 20th century. As a High school teacher she has taught in Greek schools abroad, (Germany and Constantinople, Turkey). 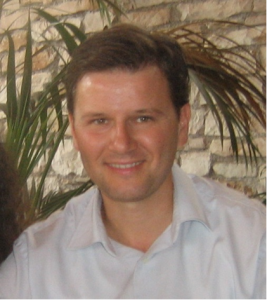 Dr. Jörg Lehmann currently works as a postdoctoral research fellow at the University of Stuttgart. He has studied history as well as literary criticism; his research interests range from depictions of violence in the media to the sociological analysis of symbolic forms. He is the author of Imaginäre Schlachtfelder. Kriegsliteratur in der Weimarer Republik (Phil. Diss. FU Berlin 2003) and has published widely on conflict-related topics. Dr. Jörg Lehmann arbeitet gegenwärtig als wissenschaftlicher Mitarbeiter an der Universität Stuttgart. Er hat Geschichte und Literaturwissenschaft studiert; seine Forschungsinteressen reichen von Gewaltdarstellungen in den Medien bis hin zu einer Soziologie der symbolischen Formen. Er hat die Monographie Imaginäre Schlachtfelder. Kriegsliteratur in der Weimarer Republik (Phil. Diss. FU Berlin 2003) verfasst und zahlreiche Beiträge zu konfliktbezogenen Themen publiziert. Yohann Le Tallec is Head Assistant of the digitization service (BNF) and in charge of the European and international research programs in the field of digitization. 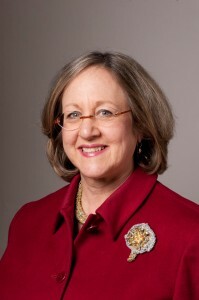 Linda Levi is Assistant Executive Vice-President of the American Jewish Joint Distribution Committee (JDC), where she directs the JDC Global Archives, one of the most significant collections in the world for the study of modern Jewish history. The JDC Archives include 3 miles of text documents, 100,000 photos, an oral history collection, over 6,000 books, and 1100 other audio-visual materials. The JDC Archives are situated in two centers, New York and Jerusalem. 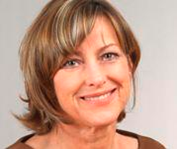 Ms. Levi has served as a senior executive at JDC for over 25 years. Prior to her current position, she was Assistant Executive Vice-President for Program Planning and Budget for JDC’s global operations. She has traveled extensively to the organization’s programs across the globe including many European countries, the former Soviet Union, Latin America, Africa and Asia, and Israel. The American Jewish Joint Distribution Committee (JDC) was founded in New York in 1914 as a response to the plight of Jews in Europe and Palestine who were facing hardships and starvation during World War I. Since then, the JDC has become a humanitarian assistance organization helping Jews and non-Jews the world over in times of need. Kate Lindsay, Alun Edwards and Ylva Berglund Prytz run the Crowdsourcing and Community Collection Service (RunCoCo) based at the University of Oxford. They developed the Oxford Community Collection Model which has been used to drive the Europeana 1914-1918 project, as well as other crowdsourcing initiatives. You can visit their website and blog at: http://projects.oucs.ox.ac.uk/runcoco/ or follow them on Twitter @RunCoCo. They are part of the Academic IT group at the University of Oxford, with a wider remit to support and progress the use of digital technologies for teaching and learning, public engagement and knowledge exchange. This presentation will be delivered by Kate Lindsay, Manager of Education Enhancement. 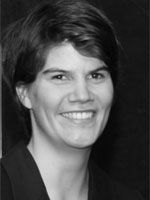 Kate has been the Principle Investigator and Project Manager for a portfolio of other First World War digital projects, including: The First World War Poetry Digital Archive (http://www.oucs.ox.ac.uk/ww1lit), The Great War Archive (http://www.oucs.ox.ac.uk/gwa), and World War One Centenary Continuations and Beginnings (http://ww1centenary.oucs.ox.ac.uk/). You can follow her on Twitter as @KTDigital. Storico dell’arte, curatore per il Museo Centrale del Risorgimento di mostre storico documentarie e dei progetti di didattica museale interdisciplinare. Ha collaborato alla valorizzazione del patrimonio artistico degli Ordini religiosi (Camilliani, Francescani, Cappuccini, Scolopi). Nel 2010 ha curato, per il Comune di Roma, la progettazione dell’allestimento del Museo della Repubblica Romana. Attualmente svolge attività di consulenza scientifica, per i patrimoni storico-artistici e fotografici, per la Marina Militare italiana e per il Corpo delle Infermiere Volontarie della Croce Rossa Italiana. Incaricato dalla Soprintendenza Speciale per il Polo Museale della Città di Roma per la catalogazione dei beni del Museo Nazionale di Castel Sant’Angelo. Ha pubblicato numerosi saggi di catalogo sulle fonti storiche dell’Ottocento e del Novecento. Sönke Neitzel, Lehrstuhl für Internationale Geschichte an der London School of Economics and Political Science. 1994 Promotion, 1998 Habilitation, lehrte an den Universitäten Mainz, Karlsruhe, Bern, Saarbrücken und Glasgow. Seit vielen Jahren berät er Medienanstalten im In- und Ausland bei Fernseh- und Kinoproduktionen über den Ersten und Zweiten Weltkrieg. Seine Forschungen befassen sich vor allem mit der Militärgeschichte des 19./20. Jahrhunderts. Über den Ersten Weltkrieg publizierte er zuletzt „Weltkrieg und Revolution 1914-1918/19“, Berlin 2012. 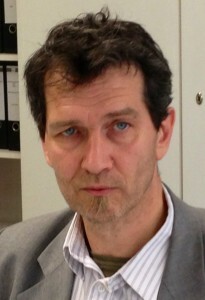 Researcher in Media Studies at the University of Padova where he teaches “Theory and Techniques of Mass Communication” and “Cinema and Audiovisual Literacy”. From 2000 he has been active in the media literacy field and has coordinated laboratories and classes for teachers. On the topic he has published extensively including a manual (2009). His field of interest is also in history of film technology. He has published on sound techniques and on the sound aspects in Robert Bresson’s cinema (2004). Ad Pollé has dedicated his professional as well as his personal life to cultural heritage. He has a background in book publishing and in audio-visual archiving and restoration. In 2012 he joined Europeana to help provide access to Europe’s digital heritage as a member of the Distribution and Engagement team, focusing on user generated content. He currently manages the Europeana 1914-1918 and Europeana 1989 projects. Being Dutch he likes to make long bike trips all over Europe, trying to combine this as efficiently and pleasantly as possible with culinary adventures. 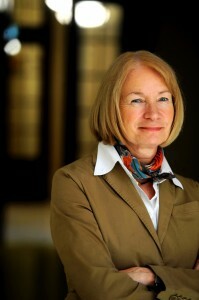 Prof. Dr. Susanne Popp ist Inhaberin des Lehrstuhls für Didaktik der Geschichte an der Universität Augsburg. Sie ist zudem Präsidentin der Internationalen Gesellschaft für Geschichtsdidaktik (International Society ForHistoryDidactics (ISHD)). 2000-2002 Professorin für Geschichte und ihre Didaktik an der Pädagogischen Hochschule Weingarten. Art historian, work in the field of restoration and conservation of cultural and artistical heritage in Italy. 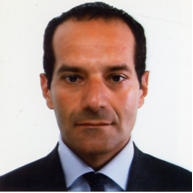 President of the cultural association for the Ecomuseum of The Montello Hill, in Veneto Region of Northern Italy, born to preserve, interpret, and manage the cultural heritage for a sustainable development of the area. Since 2009 directs the project emotional museum of the Great War at Giavera del Montello, Italy, to develop projects for the centenary of the First World War. Director General of Staatsbibliothek zu Berlin. Thorsten Siegmann ist Projektkoordinator des Europeana Collections 1914-1918-Projekts und seit 2011 in der Staatsbibliothek zu Berlin als EU-Projektkoordinator beschäftigt. Interimsweise hat er dort auch das EU-Projekt Europeana Newspapers koordiniert. Von 2008 bis 2011 hat er als Wissenschaftlicher Volontär und Wissenschaftlicher Mitarbeiter im Institut für Museumsforschung – Staatliche Museen zu Berlin gearbeitet, dort das EU-Projekt euromuse.net koordiniert und in weiteren EU-Projekten mitgearbeitet. Thorsten Siegmann hat an der Europa-Universität Viadrina Kulturwissenschaften studiert. 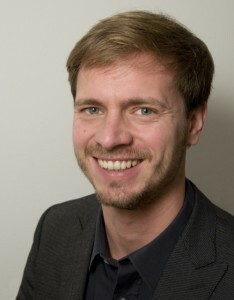 Thorsten Siegmann works as the project co-ordinator of the Europeana Collections 1914-1918-Projekt at the Staatsbibliothek zu Berlin – Preußischer Kulturbesitz. He has also been the interim co-ordinator of the Europeana Newspapers project. Between 2008 and 2011 Thorsten worked for the Institute for Museum Research – Staatliche Museen zu Berlin. There he was the co-ordinator of the EU-funded project euromuse.net and contributed to several other EU-projects. 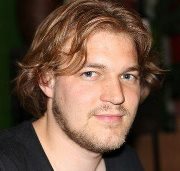 Thorsten has studied Cultural Sciences at Europa-Universität Viadrina. 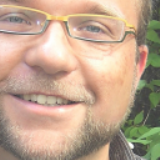 Steven Stegers (MSc) is the Deputy-Director of EUROCLIO – European Association of History Educators where he works since 2006. He is responsible the management of three long-term programmes (Innovating History in the Black Sea Region, Mediterranean Dialogues in the Euro-Med region, and Historiana – Your Portal to the Past). 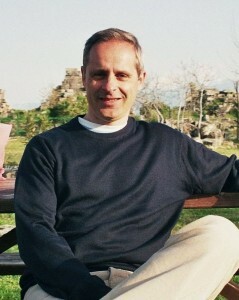 He has been involved in the implementation of events related to the promotion of innovative and responsible history-, heritage and citizenship education in Armenia, Azerbaijan, Bosnia-Herzegovina, Cyprus, Georgia, Hungary, Latvia, Moldova, Montenegro, the Netherlands, Poland, Slovakia, Turkey, Ukraine and the United Kingdom. Steven has been consultant to the International Baccalaureate, Anna Lindh Foundation and KAICIID Dialogue Center. 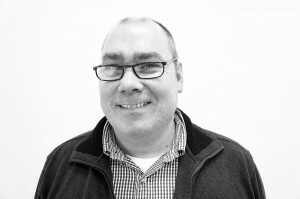 Adrian Stevenson is a Senior Technical Innovations Coordinator at Mimas, a national centre for technical innovations and data hosting based at the University of Manchester. 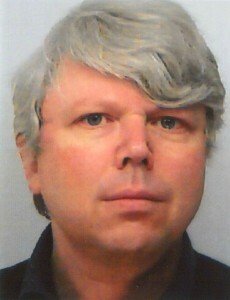 Adrian has been working on a range of projects since being at Mimas: ‘WW1 Discovery’ (http://ww1.discovery.ac.uk/), ‘Linking Lives’ (http://archiveshub.ac.uk/linkinglives/), Digital Humanities @ University of Manchester (http://bit.ly/15Oclx, and a technical review project for the Manchester Museums and Galleries Partnership. These projects are primarily about advocating open data as well as implementing open APIs (application programming interfaces) and Linked Open Data technologies. Adrian previously worked at UKOLN managing the LOCAH Linked Open Data project (http://archiveshub.ac.uk/locah/), the JISC Observatory project (http://blog.observatory.jisc.ac.uk/) and the SWORD project (www.swordapp.org). Adrian has played the guitar for a number of years in various bands, and has made several records. He’s a director and trustee of the Manchester Jazz Festival (http://www.manchesterjazz.com/), blogs about jazz (http://theringmodulator.blogspot.com), writes occasional reviews for the Jazzwise magazine website and hosts a radio show on Manchester’s ALL FM 96.9 station. 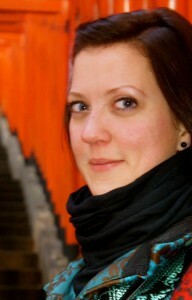 Julia Welter currently works as the project manager of the EFG1914 project, which is co-ordinated at the Deutsches Filminstitut (DIF) in Frankfurt. For over six years she has co-ordinated several EU-funded projects, such as the “EFG – The European Film Gateway” and the MIDAS project, which initiated the web portal “Film Archives Online”. Before this she was a member of the “filmportal.de” editorial staff, a web platform for German film, and was in charge of the archive of the German production company “CCC”, which is held at DIF. In this context she curated an exhibition and edited a publication. Before she started working with DIF, Welter worked with the library of the Georg Büchner research centre in Marburg. 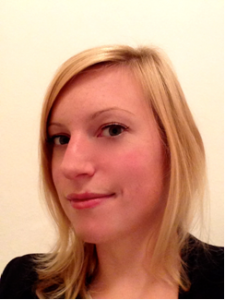 Julia studied at the University of Marburg, Germany and the University of Portsmouth, England. She holds (a Masters Degree/ an MA) in German and English Literature and in Film Studies. 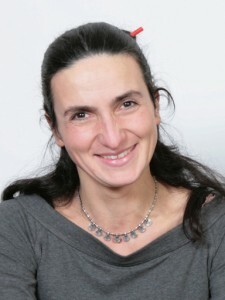 Emanuela Zilio is co-founder and Project Manager of Digital Distillery Srl , a company that has been working on research since 2010 to create new communication models and strategies, promoting the integration of new technologies – such as Natural Interaction, Augmented Reality, Immersive Reality, etc. – with other languages (Journalism, Art, Science), as well as developing highly customized platforms, apps, tools and services. 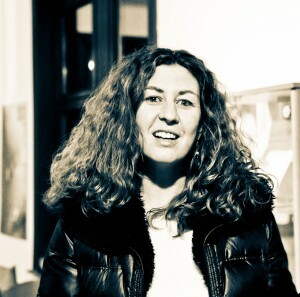 She has a Master of Science in Politics, Policy and Society in Contemporary Europe from the University of Bath (2001) and a PhD in Languages Science also from the University of Siena (2003) where she focused her research on New Media Visual Languages. She developed her professional experience and improved her skills through working on individual and team projects in Italy as well as abroad. She believes that learning never stops and that curiosity is the seed of critical thinking.